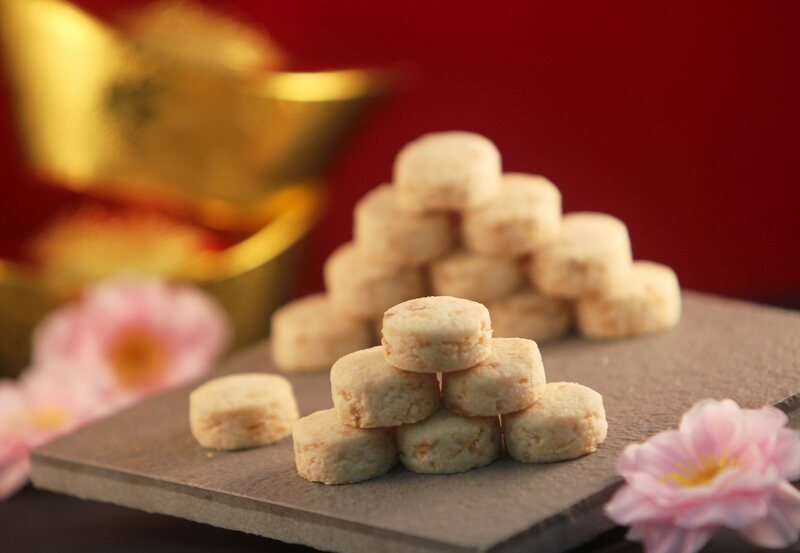 Having mastered her baking techniques in renowned French chef school Le Cordon Bleu, as well as founding the French-themed coffee shop Café Madeleine, Chef Alina Hew brings a refreshing French twist to these almond cookies. Beat butter and icing sugar until creamy. Add sifted flour, cornflour, salt and almond flaskes and mix well. Roll out the dough to 1cm thickness. Cut into round shape using a round cutter. Arrange the cookies on tray. Bake in a pre-heated oven of 170 degrees Celcius for 15 mins until light golden brown.